This post has been updated with more free SEO tools to help you grow your rankings in 2017! Search engine optimization (SEO) is tough. In fact, the challenges are so real that any SEO would appreciate a handy tool to make their job easier. But the popular belief is that the more features a tool includes, the higher the price. While this may be true to a certain extent, there are still hundreds of free and freemium tools that you can use for optimization purposes – and for advanced features, you can always choose to upgrade. Thus, whenever you have published a new article or blog post, you need to tell Google about it. 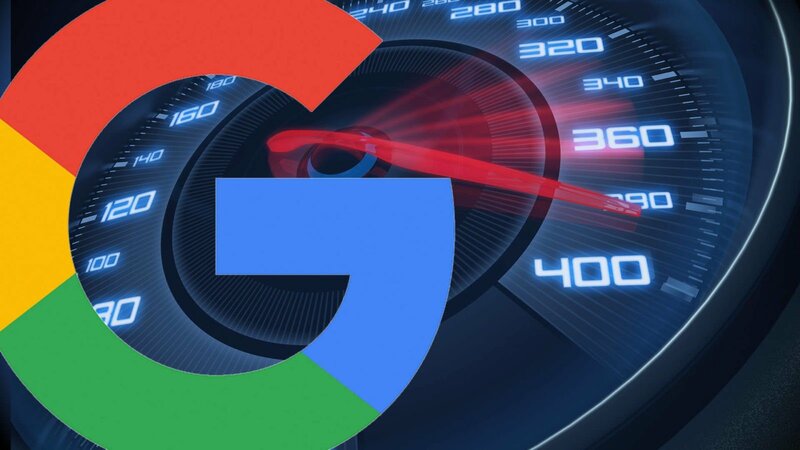 Although the search engine claims that it doesn’t always add the submitted URL to its index database, you will still speed up the crawl process and thus the indexing of your site. The more you submit your URLs, the better your site’s index status will be. Free Bonus Download: Get our free SEO guide to learn how you can skyrocket your rankings, even in a competitive niche! Click here to download it for free! Dubbed as the free alternative to Google’s Keyword Planner (also free if you have an Adwords Account), Keyword Tool offers more than 750 keyword suggestions. The best part is that the tool includes long-tail keywords in the results. 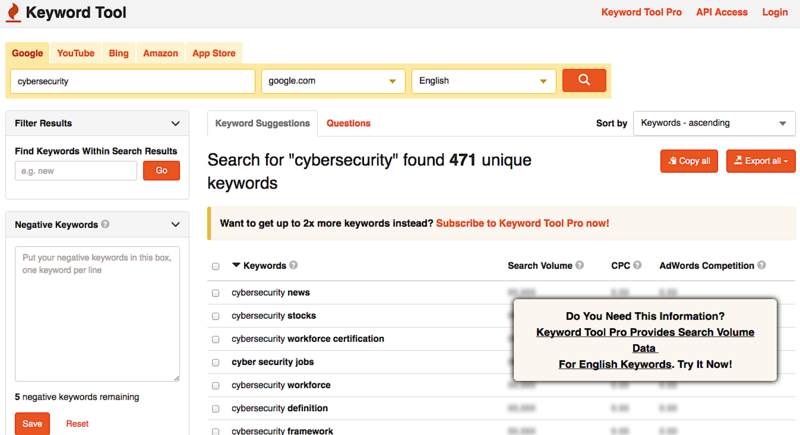 You can also choose which country to search for keywords, on which platform (Google, YouTube, Amazon, etc. ), and in what language. In addition, you can filter out negative keywords and sort by keyword suggestions or common questions that use your keyword. Search volume, CPC and AdWords competition are hidden unless you upgrade to a pro account from $48 to $88 per month. This tool is great when you’re looking for those very specific phrases that your audience is using to try and find you. It’s similar to doing an incognito Google search, but with more added value. Having a sitemap is another way to have a highly indexable website. 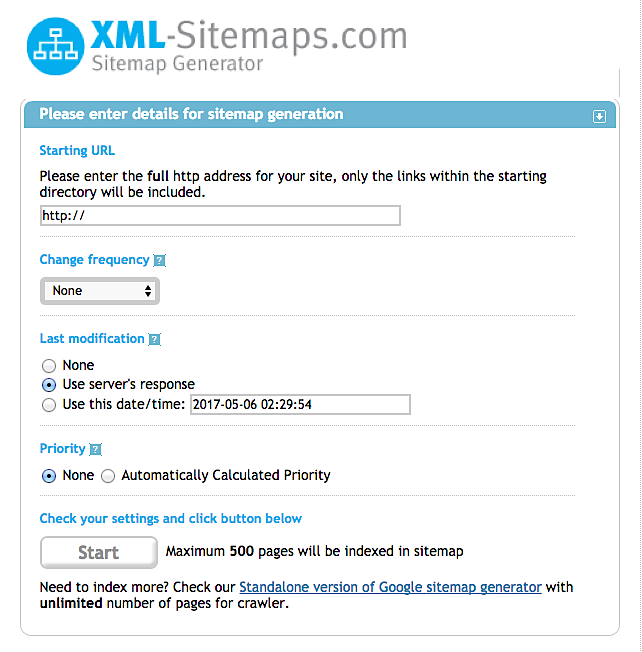 This tool allows you to create a sitemap for your website with both XML and HTML variants. 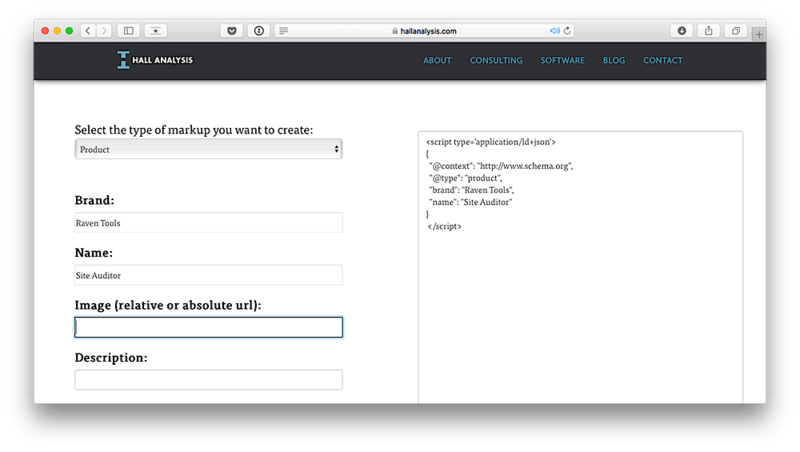 You just have to enter the full http:// address of your website so the tool can start generating the sitemap. The results also include the number of pages, broken links, XML file content and the link to the sitemap file. It can crawl up to 500 pages for free. If you need to index more pages, you can buy the paid, unlimited version of the tool. The unlimited version is $19.99 including lifetime updates. If you have a very large website, this tool could be very useful. Before indexing, though, Google bots must know what they are supposed to be doing on a website. 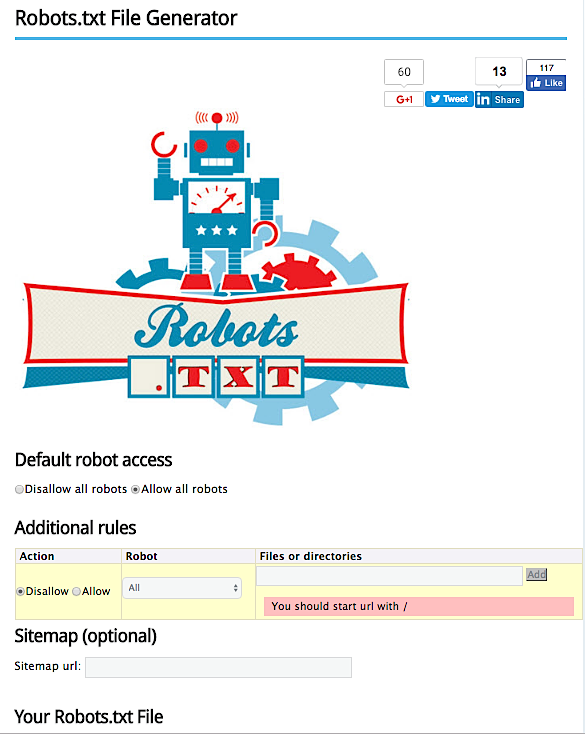 Robots.txt Generator tells them exactly what to crawl and index among the pages. For instance, if the file includes disallowing, it means that the bots cannot visit any pages within the website (and yes, you can always choose to disallow certain pages that are irrelevant). 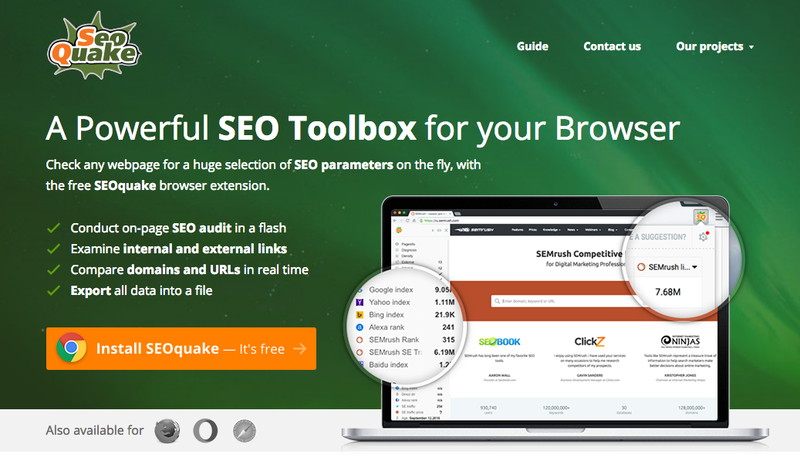 SEOQuake is one of the most popular SEO toolboxes. It’s an extension that displays an SEO overview of any given page through a toolbar or SERP overlay. It can show the total number of indexed pages, domain age, social shares and external links. This tool’s shining quality is its fluidity. Instead of individually checking sites through a standalone tool, you can view real time stats as you browse. SEOQuake also offers a free on-page audit tool so that you know if there are any errors on your site – and, of course, they offer tips on how to correct these errors. Once you land on the page, just click the icon on the toolbar area. 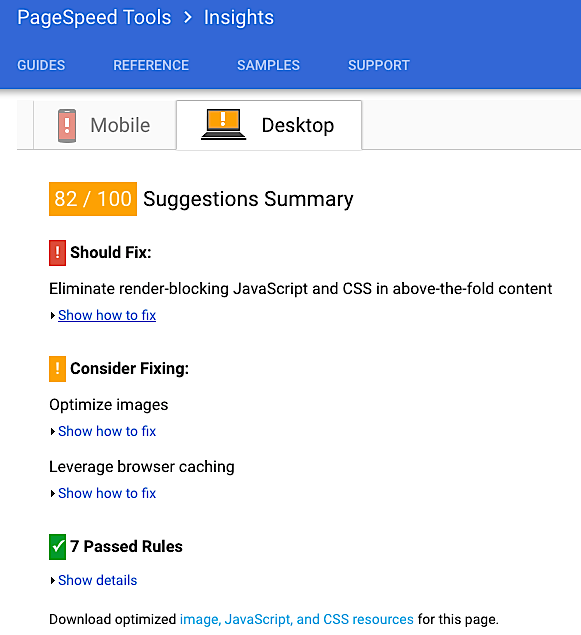 Other than the SEO score of your site, this tool also relays information on how you can fix the analyzed issues pertaining to SEO, such as speed, security and mobile usability. You simply enter your URL to see how your website is currently performing. The free version allows up to five check-ups in one day, though you must create a free account in order to check more than one website each day. If you need to generate more than 300 reports per month for three websites, you’ll need to purchase a paid plan. The site offers a 14-day free trial, so you can get a feel of it first. Be sure to check out their “free tools” menu option at the top of the site. It’s essential that you know how each of your pages are performing based on their keywords – and this keyword rank checker can help. You can search for the keyword and domain or the keyword only on both Google and Yahoo. You can also see the current ranking depending on the device used. SERPs also has a few more free tools: a Keyword Research Database, and a Google Location Changer. The database is similar to most of the other options on this list; showing you new possibilities for keywords related to your site. The Location Changer is clutch considering that Google no longer allows this to be done manually. If your business caters to international markets, this tool is worth checking out. Duplications are a bane to your SEO success, so you need to check your website to see if there is any duplicate content. Simply input your URL and click “Go.” From there, you’ll see all the pages that have duplicate, common and unique content. This tool will also check for broken links on your site. Siteliner allows one free check per month (30 days), and analyzes up to 250 pages on your site. Signing up for the premium version is free and allows unlimited monthly checks on up to 25,000 pages. Cost is $0.01 for each page scanned. 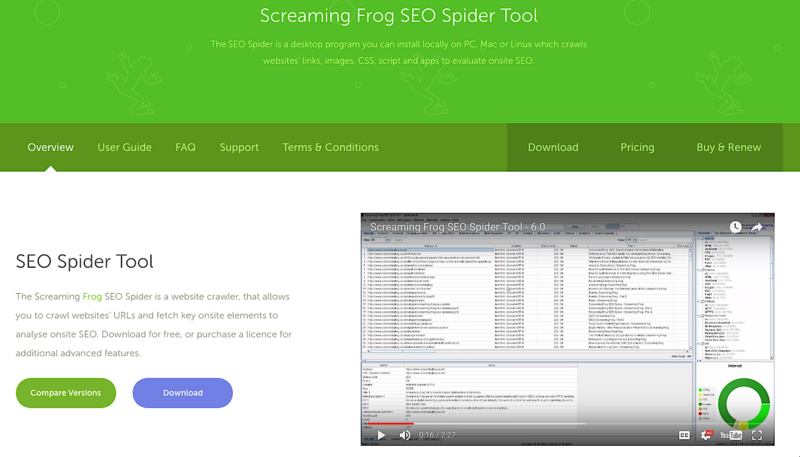 Screaming Frog is a desktop program that can be installed locally on any PC. It mainly evaluates onsite SEO factors, including server errors, broken links, duplicate pages, and blocked URLs. SEO Spider also crawls your website to analyze title and meta descriptions, determining required length and relevance. This tool can also outline whether there are any missing elements. For additional data, the tool integrates with Google Analytics where users are able to generate error reports. Keep in mind that this tool has a crawl limit of 500 URLs. For those who are interested in DIY SEO, check out this tool that will help you improve your site’s performance. 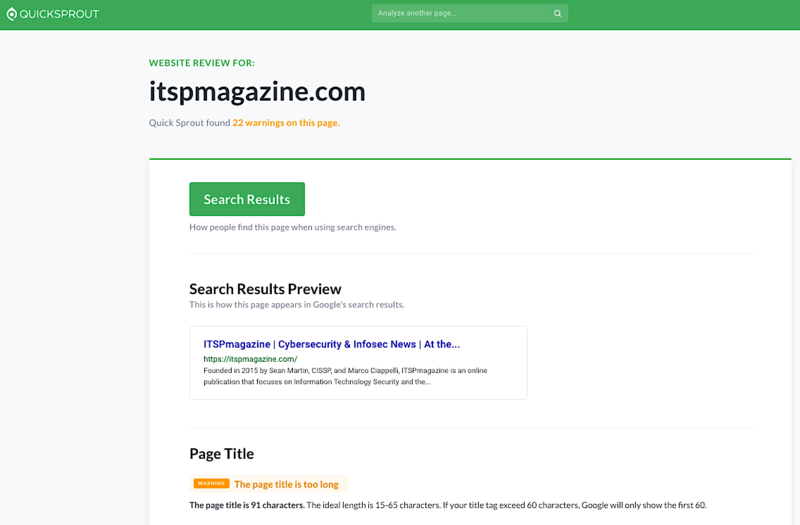 Like all other tools in this list, you input your full URL for and it shows you your search results preview, including page title and meta description, headings and subheadings, internal links and links to your site. 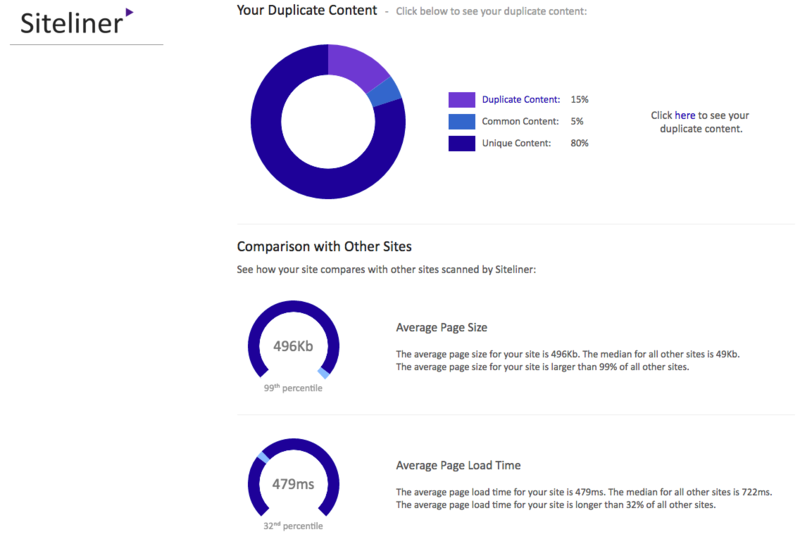 You can also analyze individual pages on your site. Of course, your website must be connected to Google Analytics in order to proceed to the next steps. 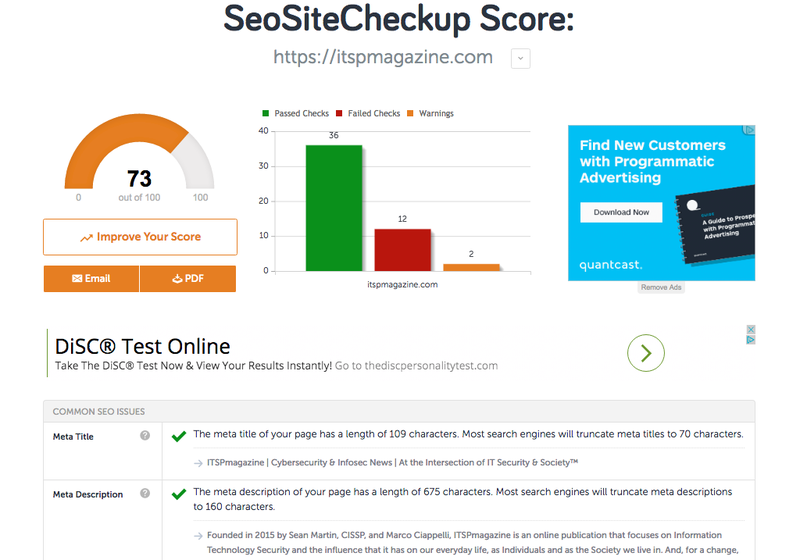 This tool also provides you with an SEO score that you can use to gauge your site’s progress and it sends personalized alerts about what needs to be changed on your website. The great thing about Quicksprout is that it’ll always be free. And they also provide SEO tutorials for newbies. SEO is also about split testing to determine which works better. 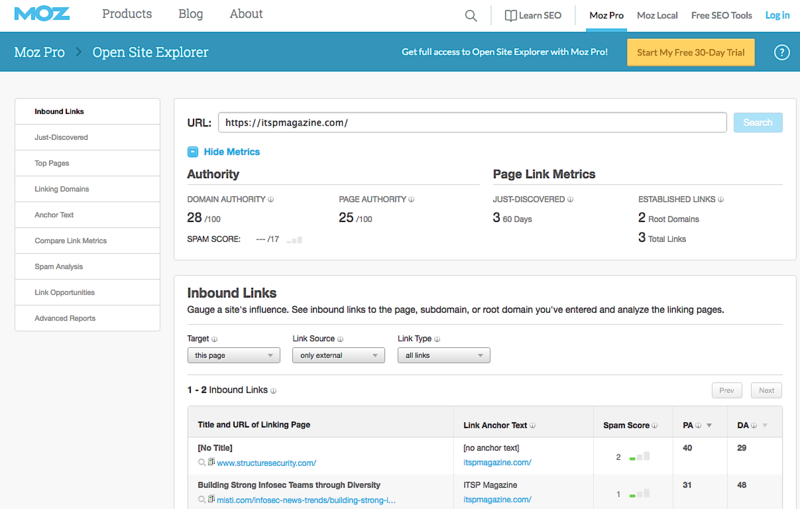 For instance, you can use Optimizely to show you which version of your landing page will convert better. 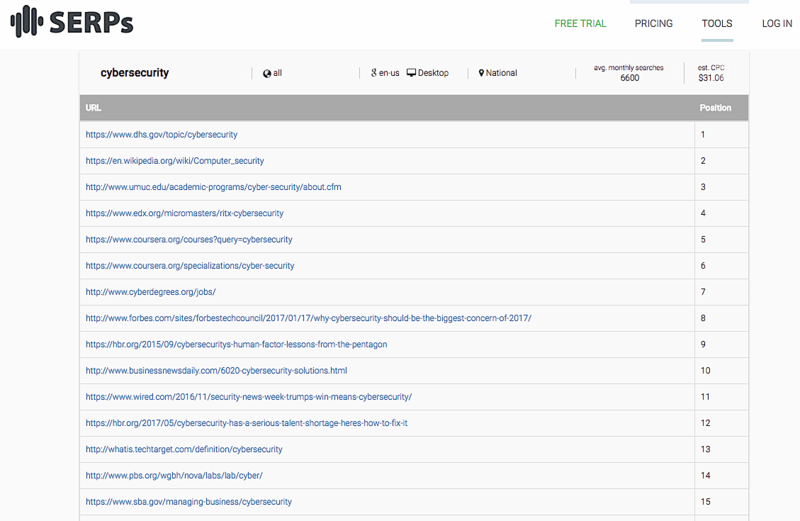 It also offers suggestions backed by live traffic and visitor data. Overall, this tool approaches SEO from a holistic perspective. It’s something the marketing team, SEO, and developers can all collaborate on simultaneously. Great option if you have a large team. Optimizely recently changed their pricing structure. They offer a 30-Day free trial with the option to continue on a paid plan afterwards. Prices aren’t listed for the three tiers: Standard, Professional, and Premium (except for the pay-as-you-go option, which is $49 per 1000 monthly unique visitors). There are cheaper options for non-profits as well. Moz has quite a few free tools with the option to upgrade to a Pro version in the future. If your business / organization is entirely local, Moz also has tools specifically to make your business listing easier to find for nearby residents. MozBar: Get on-page metrics of any site you visit right in your Chrome browser. This fits in well with #17 on our list during your preliminary research. Keyword Explorer: Similar to Keyword Planner. Up to two free queries daily. My Business Listing: See how your business looks in multiple search engines, and determine how easy it is for the site to be discovered by consumers. Sometimes all the tools you need are already there. Incognito searching is a great way to see how popular your keywords are, as well as what the most popular search terms are within your niche. Because the autofill options are not affected by your previous searches and browser history. The keywords that you see, as well as the search results, are exactly in the order Google would rank them. Use Incognito for preliminary research on where you rank, or popular keywords you could rank for. But for more depth analysis (which you probably will need), you should definitely combine this method with other tools on this list. We’re assuming that you guys are already using this, but for those very new to SEO, we’ll leave this here. Google Analytics should be the hammer in any SEO toolkit. This free and easy-to-use tool is what all your other tools should complement. With Analytics you can see how much traffic is coming into your site, and the ways in which they are getting there. If you’re not sure which tool to experiment with first on this list, start here. These are just eighteen of the most important tools that an SEO must use. Start with the free versions to determine if these are the right tools for your conversion goals, and if one or more work well for you, you always have the option to upgrade to a paid plan. You are sure to find a tool that fits your needs and budget, and once you find one that works well, stick with it. Whichever tool and plan you choose, make sure that you are maximizing the value of it. Implementation and experimentation are perhaps the most important aspects of search engine optimization – but all the results and recommendations in the world are useless if you don’t follow through and execute. Related Content: Should You Be Tracking Keyword Ranking in 2017?